I saw this recipe disappear down my newsfeed on Facebook one hot summer’s evening just as my husband and I fancied something to nibble on. I even had an opened bottle of Sriracha in the fridge so set about quickly making these super little fries. I used buckwheat flour as my husband is gluten intolerant and as I had some dried gluten-free breadcrumbs mixed with chilli flakes, decided these would work perfectly. 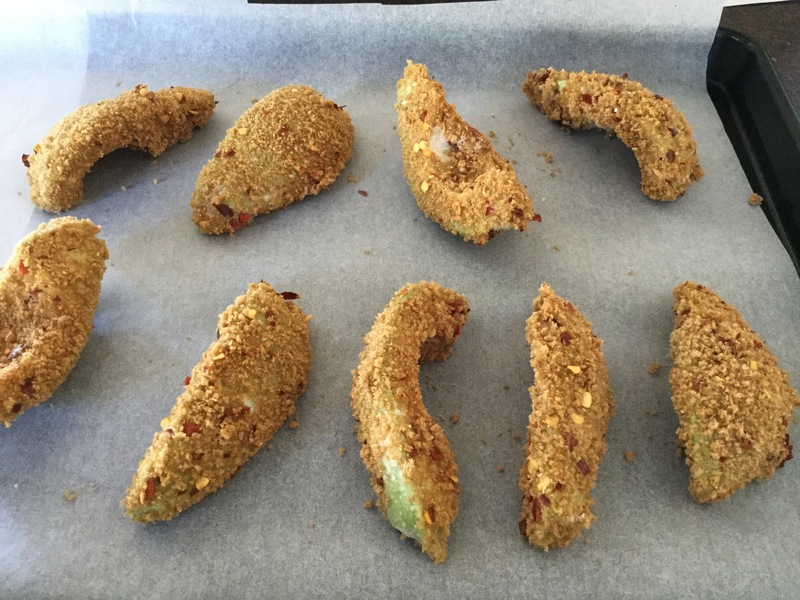 I didn’t spray them with oil as the original recipe mentioned and they turned out beautifully; soft creamy avocado with a crisp outer shell. The chilli flakes gave them an extra kick so if you don’t like things too hot, leave these out as the Sriracha and yoghurt make a tasty dip. Another winning recipe to make again. Dip each chip into the flour, then the egg and finally the breadcrumbs. Lay on some parchment on a baking tray. Bake 180°C for 20 to 25 minutes. 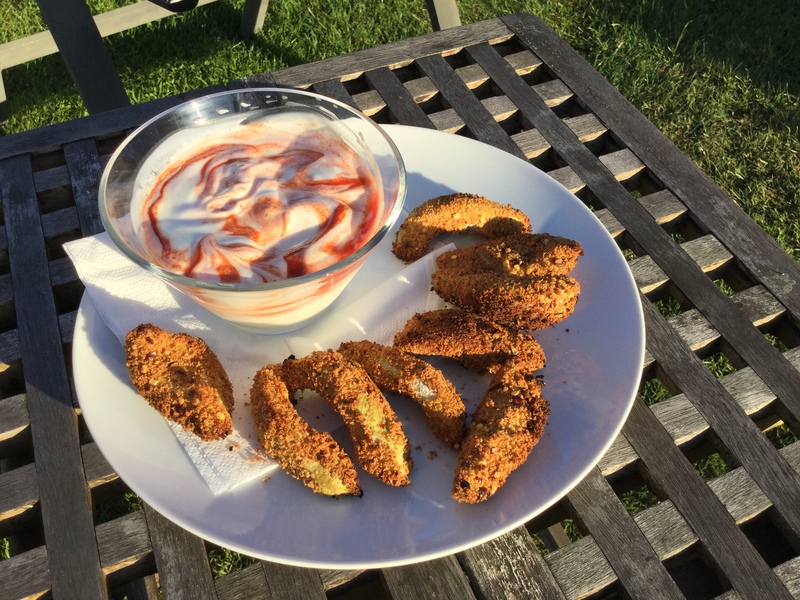 This entry was posted in Miscellany, Vegetarian and tagged Avocado, Buckwheat, Chilli, Fries, Gluten Free, Healthy Eating, Probiotic Yoghurt, Sriracha, Vegetarian. Bookmark the permalink.